The concept for creating a world-class, collaborative clinical research network for regional health institutions started with president and CEO Steve Klasko’s arrival at Jefferson Health in 2013. Under the direction of Dr. David Whellan, Jefferson Health became one of six founding members that made the vision a reality. On March 1, 2018, the Partners in Innovation, Education, and Research Consortium™ (PIER) became an LLC in the State of Delaware. The other five founding members of PIER include the Atlantic Health System, Drexel University, Einstein Healthcare Network, Geisinger Health System, and Main Line Health. By eliminating challenges that impede innovation, PIER will provide researchers and sponsors a centralized, service-line approach promoting the development, implementation, and management of clinical research. PIER provides a unique opportunity, not only to Members but to future partners by increasing the collective group’s competitive advantage. 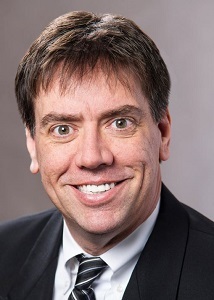 Dr. David Whellan is the senior associate provost for clinical research at Thomas Jefferson University. He is a cardiologist by trade as well as a clinical investigator, performing research in heart failure. For that reason, he is all too familiar with the challenges that exist in clinical trials. 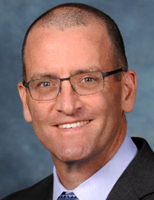 Whellan is serving as the Chief Operating Officer of PIER. “There are six medical colleges in the Philadelphia metro area performing clinical trials,” says Whellan. The Kaiser Permanente system is an example of a successful network. There are also clinical trial networks that are funded through the NIH that unite different health systems focused on specific diseases. Healthcare costs continue to increase, as does the cost of performing clinical research. In any business, costs can be classified as either fixed or variable. The same is true in clinical research. The variable costs are those that are specific to a trial or the protocol. But other costs are fixed and are always present, regardless of the trial type. Aside from cost reductions, the founders of PIER also felt there were inefficiencies inherent in clinical trials that could be mitigated. When a sponsor company attempts to initiate a trial, lag times can cause delays, higher costs, and a longer timeline to FDA approval. By bringing together several health systems under one umbrella, it is believed that many of those bottlenecks could be mitigated or eliminated. As part of researching the benefits of a consortium, PIER did not want to rely solely on their own insights. For that reason, they reached out to sponsor partners to get their feedback as well. The goal was to learn about their challenges and the value they hoped to gain from the effort. Not surprisingly, all mentioned similar challenges, including contracts, site activation, and patient recruitment. Shortly thereafter, PIER was formed to address these challenges. One thing that was decided early on was that the consortium would not be based within one of the partnering members. The decision was made to make PIER a separate nonprofit LLC. All consortium members now share in the governance and oversight of the organization. There is also shared decision-making around the operations of the group so as to work together in a truly collaborative fashion. Members participate actively on the board and in the management of the organization. Policies and procedures were jointly developed by members. With the consortium in place, contracts, budgeting, and regulatory activities can all be performed through a single entity. That means participating members will not have to devote personnel and time to supporting those activities. The consortium also allows sponsors to engage all the members within the Consortium without having to contract and negotiate with each one individually. PIER has been structured in a way that will enable it to grow and add new members in the future. The Consortium has already been approached by several organizations in both Pennsylvania and New Jersey. Sometime next year, the consortium will begin the process of identifying and validating those prospective members. With the six members, the consortium already has a broad array of therapeutic expertise. If the Consortium is approached with a particular study protocol, each member could then identify an investigator and screen de-identified electronic health records to determine if they have a sufficient patient population to meet the enrollment targets. Longer term, the consortium is evaluating the possibility of creating a centralized data warehouse that could further expedite the patient recruitment process by allowing the PIER Central Office (PCO) to assist with recruitment. One of the challenges pharma faces in performing trials is finding qualified investigators. In addition to staffing and time requirements, workload balance and data and safety reporting requirements are daunting. 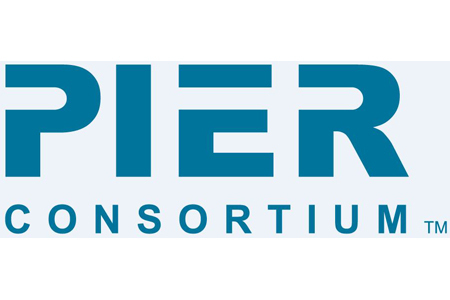 Consortiums like PIER aim to minimize the impediments to conducting clinical research.